Scary, right? I mean the scythe, not the woman of course. By the way, grim means depressing or cruel. 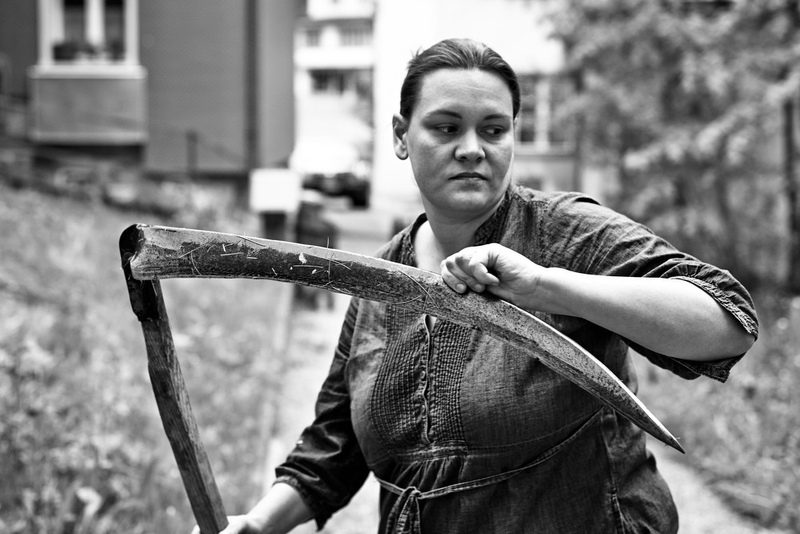 Farmers used to handle scythes before machines took over the mowing of grass for hay. Anyone ready to mow our lawn? The grass in the park smells so wonderful and fresh after mowing. When the wheat is golden-yellow you know it’s time to reap. The children were looking for left-over potatoes after the farmer reaped the field. 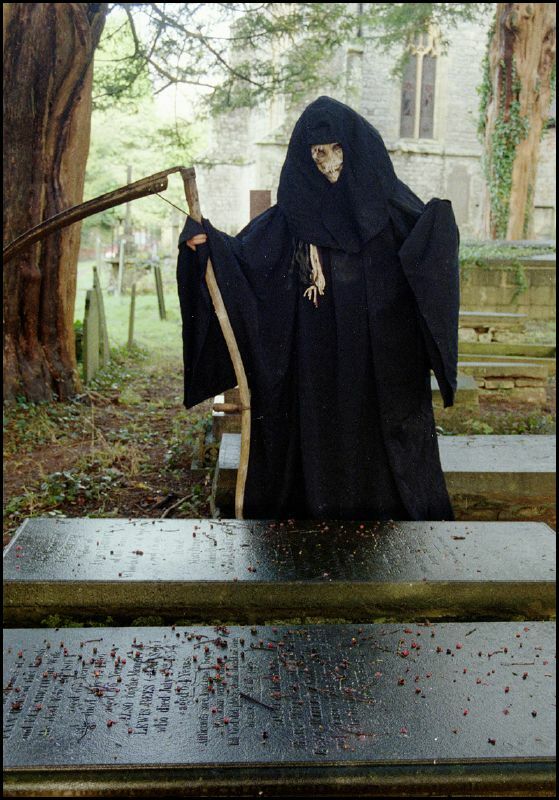 On old Mrs Bates’ walk through the dark wood, the grim reaper swiftly but steadily following her.